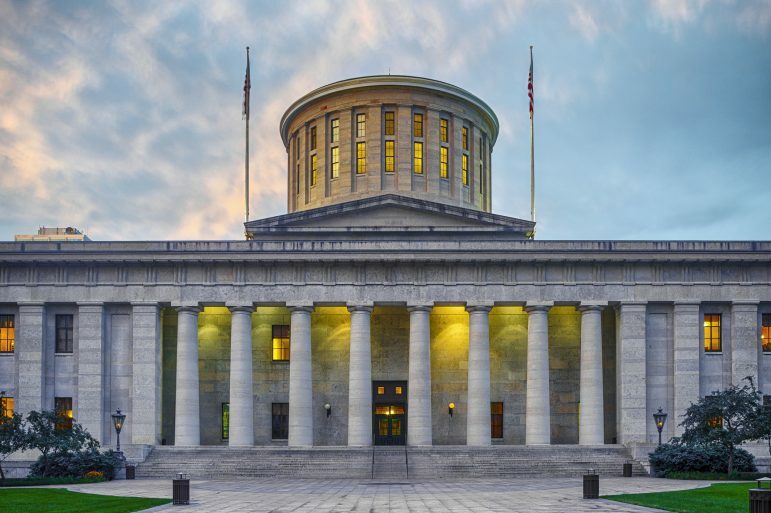 OEA Government Relations has developed and will maintain a legislative scorecard for each member of the 133rd General Assembly (2019‐2020). It tracks floor votes on bills that OEA has taken a position (support/oppose) and notified legislators of this position. Additionally, co-sponsors of bills that OEA has intense interest (in favor/against) are also tracked. House Bill 21 would improve charter student residency verification. OEA supported this bill. It passed the House 94-0 and the Senate 32-0. House Bill 87 requires misspent public funds recovered from charter schools to be returned to school districts. OEA supported this bill. It passed the House 94-2 and the Senate 30-2. House Bill 540 would enact comprehensive reforms to the Ohio Teacher Evaluation System (OTES). OEA supports this bill. It passed the House 91-2. An amendment to House Bill 87 was offered on the Senate Floor to extend alternative graduation pathways for two years. OEA supports this amendment. It was tabled by a vote of 21-11. House Bill 572 requires the Ohio Public Employees Retirement System (OPERS) to grant a full year of service credit to certain employers of County Boards of Developmental Disabilities. OEA supports this bill. It passed the House 93-0. Senate Bill 39 strengthens charter e-school accountability and transparency. Senate Bill 240 would improve the Ohio Teacher Evaluation System (OTES) based on recommendations of the Educator Standards Board. Senate Bill 246 would limit out-of-school suspensions and expulsions for K-3 students for most non-violent incidents and require schools to implement a positive behavior intervention and support framework (PBIS). House Bill 53 is Right to Work is wrong legislation for the public sector. Senate Bill 85 would greatly expand private school vouchers in the state. House Bill 113 is Right to Work is wrong legislation for the private sector. House Bill 200 would greatly expand private school vouchers in the state. House Bill 298 would reduce sick leave for public employees and exclude sick leave from collective bargaining. House Bill 512 would consolidate the Ohio Department of Education, the Ohio Department of Higher Education, and the Governor’s Office of Workforce Transformation into a single cabinet-level agency and strip the State Board of Education of most of its functions. HJR 7 is a proposed constitutional amendment to institute Right to Work is wrong for the public sector. HJR 8 is a proposed constitutional amendment to institute Right to Work is wrong for the private sector. HJR 9 is a proposed constitutional amendment eliminating prevailing wage. HJR 10 is a proposed constitutional amendment prohibiting project labor agreements. HJR 11 is a proposed constitutional amendment requiring annual re-certification for labor unions. HJR 12 is a proposed constitutional amendment prohibiting payroll deduction for union dues.